PETER WERTH 'FENTON' MENS RETRO SIXTIES FLEUR-DE-LIS MOD CUTAWAY COLLAR SHIRT (White). Stick Circles on the record player, listen to the Fleur De Lys and put your fab Retro 'Fenton' Shirt on. A PETER WERTH Mod Clothing masterpiece. Groovy Fleur-De-Lis Psychedelic Sixties pattern and sophisticated Mod cutaway collar. Finished with Retro concealed placket - 'Fenton' Mens Mod Fleur-De-Lis Shirt by PETER WERTH. 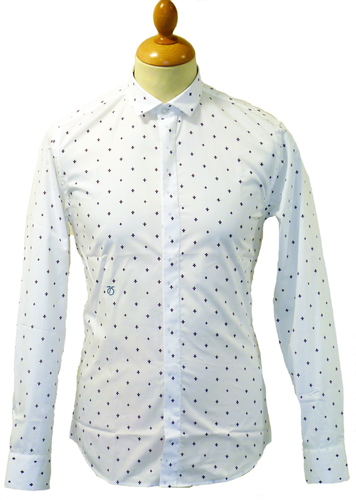 'Fenton' Mens Retro white shirt with fab Sixties Mod Fleur-De-Lis pattern throughout. Mod cutaway collar for a suave tailored look. 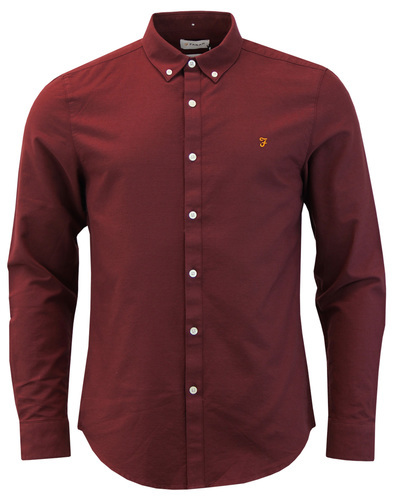 Concealed Retro placket, smart dress shirt. 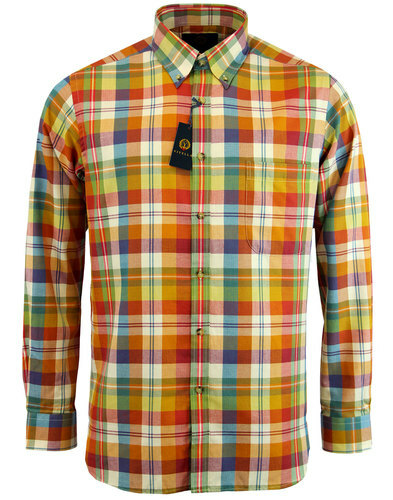 'Fenton' by PETER WERTH is the perfect Retro Mens shirt for any occasion. 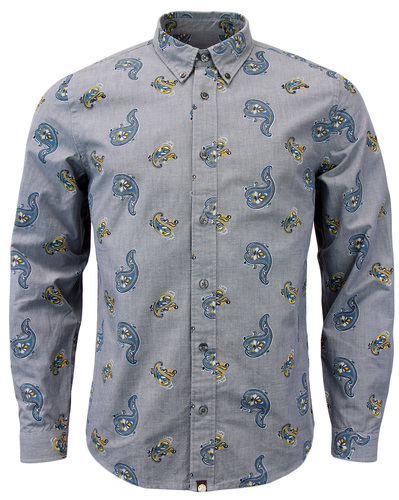 Slim Fit and highly visual - 'Fenton' Mens Retro Fleur-De-Lis Shirt. PETER WERTH MENS RETRO SIXTIES MOD FLEUR-DE-LIS CUTAWAY COLLAR SHIRT. 'FENTON' RETRO SIXTIES MOD FLEUR-DE-LIS MENS CUTAWAY COLLAR SHIRT by PETER WERTH - Mens white Retro shirt with all over Psychedelic Sixties Fleur-De-Lis pattern. 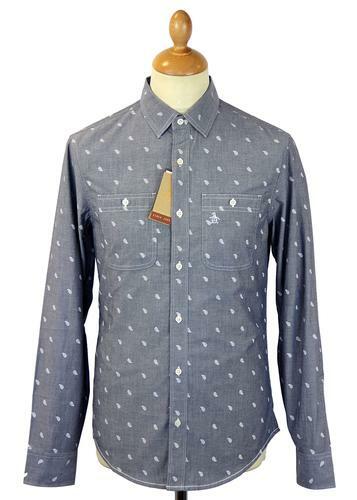 Cool cutaway collar and concealed button placket - 'Fenton' Fleur-De-Lis Retro Mens Shirt by Peter Werth. 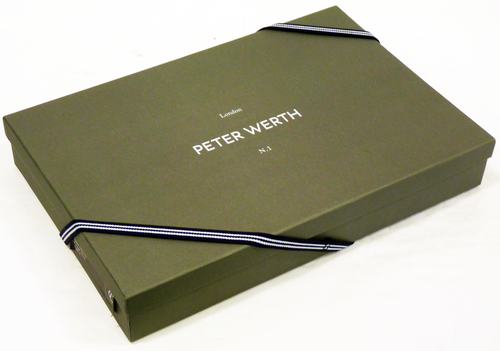 Brand: PETER WERTH Mens Clothing. Care: Machine wash. Please read full instructions on garment label. 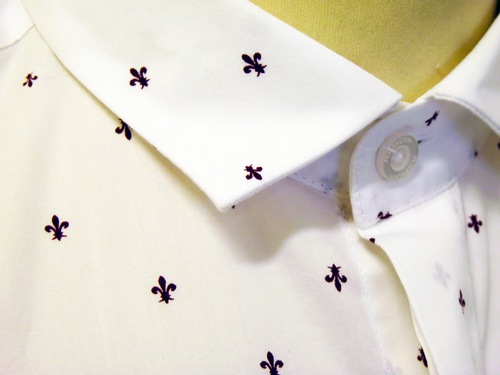 SKU: P1H01309 'Fenton' PETER WERTH Fleur-De-Lis Shirt. PETER WERTH 'Fenton' Mens Retro Sixties Mod Fleur-De-Lis Cutaway Collar Shirt (White).